Yeovil Town win 4-3 on penalties. 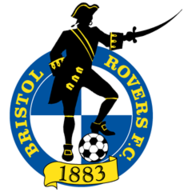 Early goals from Matt Taylor and Jermaine Easter set Bristol Rovers on course for a comfortable 2-0 Johnstone's Paint Trophy win over Wycombe at the Memorial Stadium. The hosts went ahead after four minutes when Chris Lines clipped a long ball to Taylor on the edge of the area and the striker was given time to curl a precise right-footed shot beyond the reach of Matt Ingram. Seven minutes later it was 2-0 as Easter latched on to a Billy Bodin through-ball and lashed an angled drive past Ingram from inside the area. 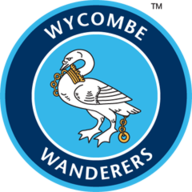 Wycombe were looking wide open at the back, but produced some dangerous first-half attacks. Between the two Rovers goals Aaron Pierre headed against the crossbar and Lee Nicholls saved the rebound effort from Matt Bloomfield. Max Kretzschmar should have pulled a goal back after 25 minutes, but shot badly wide after Aaron Amadi-Holloway had left him with only Nicholls to beat. The second half brought chances for both teams, with Rovers creating the majority. Ingram saved well from Cristian Montano and Bodin.